Steve Hili discussing his work with tutor Mary Kate O Flanagan and Storyworks' participants. The Valletta 2018 Foundation invites the public to two free public lectures on the art of screenwriting as part of the Storyworks programme on the 18th and 19th March at St James Cavalier Centre for Creativity, Valletta, at 7pm. The talks will be addressed by two leading lecturers David Howard, Professor of Screenwriting at the University of Southern California and international film consultant Mary Kate O Flanagan. These lectures are aimed at the local film and TV industry talent. However, film enthusiasts are welcome to attend. On each day, a different film will be shown and analysed for the craft of screenwriting. Mary Kate O Flanagan will analyse the 2008 debut film Frozen River on Wednesday 18th March. David Howard’s discussion will take place on Thursday 19th March and features the 1988 American comedy film Midnight Run. Both screenings will take place at St James Cavalier Centre for Creativity at 7pm. The films have been chosen as a contrast to each other to show how they use similar techniques despite how different they are in tone and content. 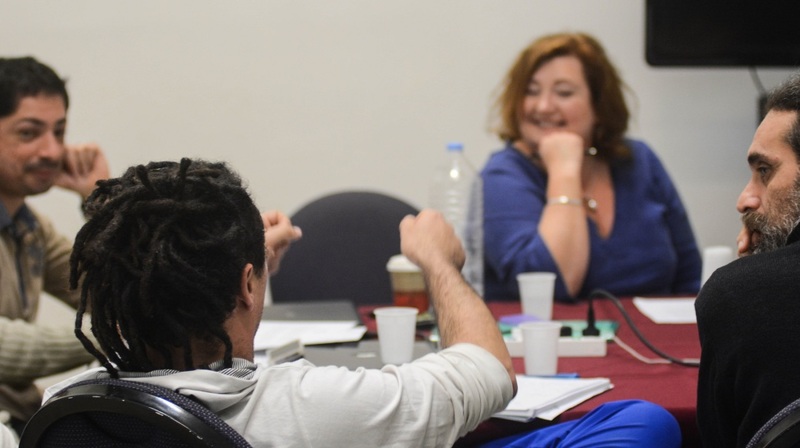 Storyworks runs from Saturday 14th to Friday 20th March in 2015 and imparts screenwriting skills into a generation of professionals through project development. This is the third year of the workshop. Frozen River (2008) is a debut film by Tennessee writer and director Courtney Hunt which received two Oscar nominations including one for Best Original Screenplay. Ray Eddy (Melissa Leo) is a discount store clerk struggling to raise two sons with her husband, a compulsive gambler who has disappeared with the funds she had earmarked to finance the purchase of a new mobile home. While searching for him, she encounters Lila Littlewolf (Misty Upham), a Mohawk woman with troubles of her own. The two women form a desperate and uneasy alliance entering into an illegal plan to make money quickly. Midnight Run is a 1988 American action-comedy film directed by Martin Brest and starring Robert De Niro and Charles Grodin. Bounty hunter Jack Walsh is sent to find bail jumper and former Mafia accountant, Jonathan “The Duke” Mardukas. The FBI have had no success in locating The Duke, so when Jack finds him in next to no time, they are a little embarrassed. In order to collect his $100,000 fee, Jack must take The Duke from New York to Los Angeles. However, the Mafia and the FBI have other ideas, as does Marvin, a rival bounty hunter. On their long cross-country trip to LA, the two get to know each other and they build up a strange friendship.